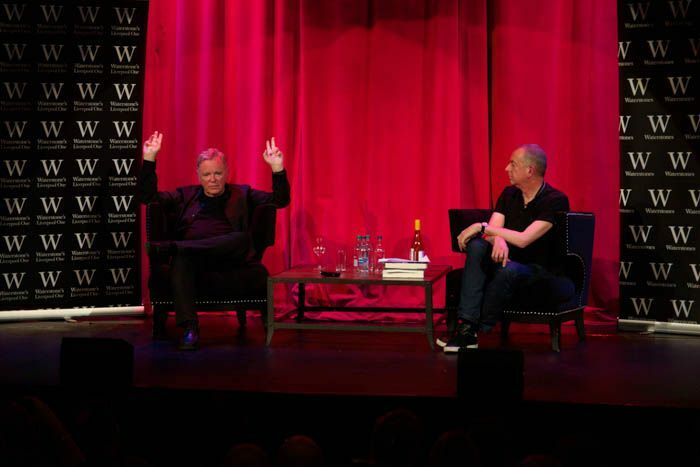 Having been a central within two iconic groups, Bernard Sumner’s new memoir is rife with rock & roll stories, Getintothis’ Mike Booth was present as the Mancunian legend delved into his glittering past. 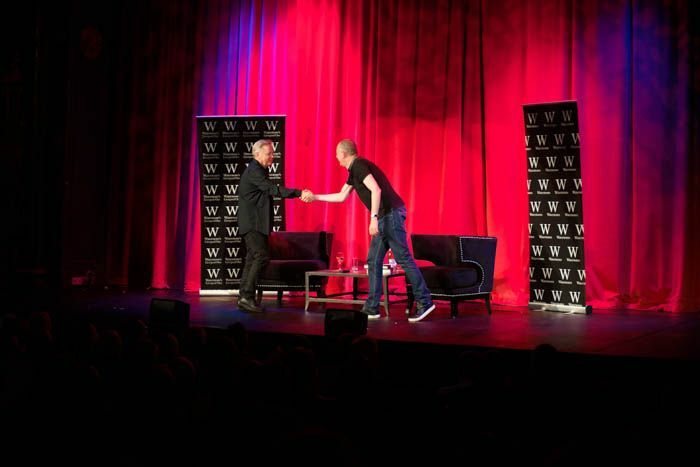 Salford’s celebrated son Bernard Sumner concluded his autobiography book tour this week at our glorious Epstein Theatre, on stage with Dave Haslam to talk about his life in music. Last year proved a bumper year for Mancunian autobiographies, with Morrissey’s long awaited tome finally released to great acclaim and Peter Hook’s book about life in Joy Division being well received by fans. After sweating out a few initial nerves Sumner proved himself to be an engaging and laid back speaker who kept the crowd interested and amused throughout the night. Inevitably, the purpose of a book signing event is merely to whet fans’ appetite so frequently we would receive just enough detail to rouse our interest but not enough to satisfy. With a career taking in the tragedy of Joy Division, the lunacy of the Hacienda scene and purported debauchery of New Order world tours the hardest part of writing this autobiography was presumably in deciding what to leave out. Going back to the early days, he spoke fondly about Ian Curtis, recalling how they appointed him as lead singer having never heard him perform, and what a fortuitous decision it proved to be. He described how the band witnessed Curtis’ first epileptic fit while driving back in a van from a disastrous gig in London where they were watched by – quite literally – one man and his dog. He remembers Curtis as someone who was likeable and amiable, but who would react explosively when confronted with seemingly insurmountable obstacles and he attributes this trait as a potential factor in his suicide. Throughout the course of the evening Sumner appeared more comfortable talking about the people along the way rather than the nitty gritty of the music making. Despite the pioneering nature of the music he rarely ventured into the technical side of things. He joked about becoming New Order’s vocalist by virtue of being not quite as bad as everyone else in the group and was equally self-effacing when talking about his skills as a lyricist, revealing how the music was always written first and the lyrics frequently evolved out of subsequent ad-libs. New Order were a band at their prime throughout a decade characterised by greed and it was genuinely refreshing to gauge Sumner’s complete disinterest in money beyond funding a living. He blithely joked about the band’s considerable earnings being funnelled into the Hacienda money pit, leaving them far less well off than they could have been. The band supported campaigns for the miners and anti-Thatcher protests throughout the 80s and within the band itself they strived to keep the ethic as socialist as possible. Moving away from politics he spoke about his hospitalisation while on tour in America after over-indulging in his favourite tipple of the time – Pernod & Orange and continued the citrus theme by regaling an amusing tale of how the band – out of desperation for living expenses- re-recorded Blue Monday for an abortive Sunkist Commercial which continues to embarrass them on YouTube to this day. How these monkeys ever hoped to usurp the Sunkist orang-utan is anyone’s guess! One senses that the act of delving into his past was not a natural one for Sumner, declaring himself to be someone who always looks to the future and refuses to indulge in nostalgia. Indeed he conveyed a real sense of optimism about the forthcoming New Order album currently in the works. When asked which LP he would most likely listen to of their back catalogue he responded quite resolutely by saying he wouldn’t listen to any of them. Sumner wisely steered clear of elaborating on the hot topic of falling out with former bandmate Peter Hook, preferring to deliver light hearted tales from down the years and talk in general terms about the dynamics of New Order and Joy Division. Dave Haslam did an admirable job of keeping the flow of the conversation going throughout and after nearly an hour he duly handed Bernard over to the audience for questioning. During this section the old cliché about band members knowing much less about their own material than their fans certainly proved true. There was an amusing moment when one audience member asked Bernard about the meaning behind her favourite New Order track. After he drew a blank on the song title she began singing it for him in dulcet tones but still there was no flicker of recognition. 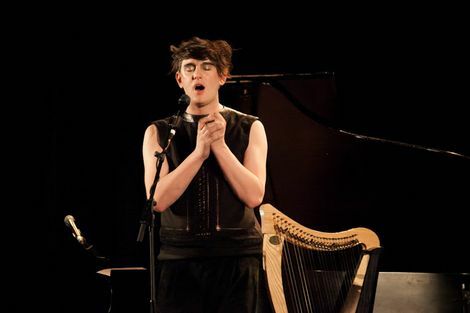 A slightly confused Sumner joked “we’ve written a lot of songs” which filled the theatre with laughter. Another fan quizzed Sumner about his feelings at being portrayed on film in both Twenty Four Hour Party People and Control. He conveyed a sense of contentment with both and mused about the appropriateness of having two very different movies cover a similar story, one comedic, one much darker. Sumner was also asked about the time Kraftwerk approaching the band, intent on finding out how the bass drum sound on Blue Monday had been created. Initially they thought Kraftwerk would be content simply to be given the original sample but true to form the Teutonic audiophiles were not satisfied in going the short way round and insisted on coming into the studio to be shown how to engineer it themselves from the ground up. One senses New Order were honoured and bemused in equal measure. As the evening wrapped up with a warm send off from Haslam it was clear that Sumner’s repartee had done the trick as what seemed like 90% of the audience flocked to the subsequent book signing. While we’d stop short of describing Sumner as a seasoned raconteur, he certainly came across very well, endearing himself with a mischievous boyish charm and down to earth manner. Sumner had started the evening by declaring that he finally felt he had enough interesting stuff behind him to warrant an autobiography and in this era of inane celebrities having three to four volumes of ghost-written garbage on the shelves before their 25th birthday we’d say this one is long overdue.